I get a lot of ideas for meals that I try off Pinterest. 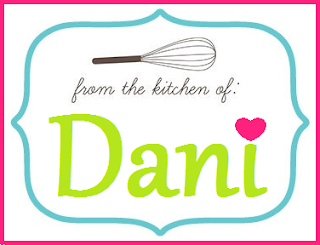 This recipe is another one. 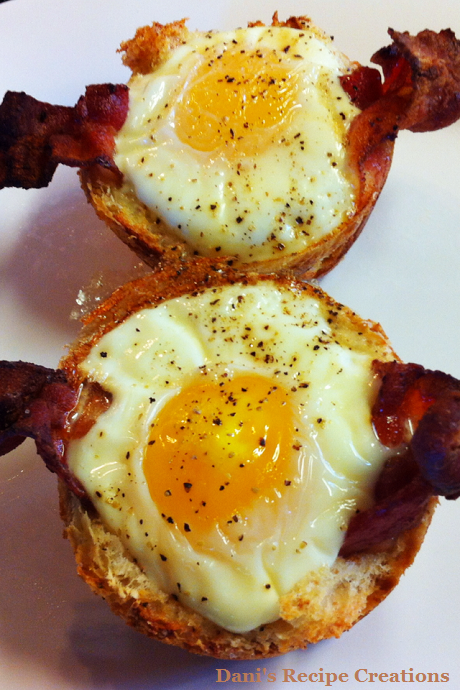 It's originally called Bacon, Egg and Toast Cups from the Pin I saw. 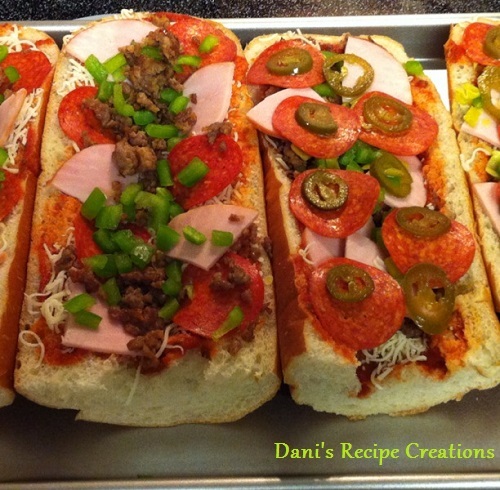 When I made these I did a few things different and I was shocked at how amazing it tasted. I had never cooked and egg in the oven. So, this was a win on taste and it was easy to make. My sister-in-law was visiting when I made these. She does not eat meat, so I made hers with out the bacon. She liked them and said that they tasted good! Preheat oven to 375 degrees. Take bread slices and flatten slightly then cut into 12 rounds. I used a mason jar to cut the rounds. Avoid using crust of the bread. Take the rounds and cut each round in half. Lightly butter muffin pan cups. Then press 2 of the halves into each muffin cup overlapping slightly, making sure bread comes up to top of cup. 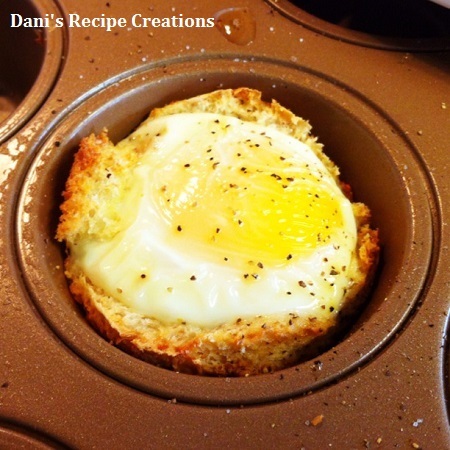 Use extra bread to cover the bottom of the muffin pan. Make sure that all the muffin cup is covered. Then brush bread with remaining melted butter on inside. In a skillet, cook bacon 2 min. then flip and cook another 2 minutes. 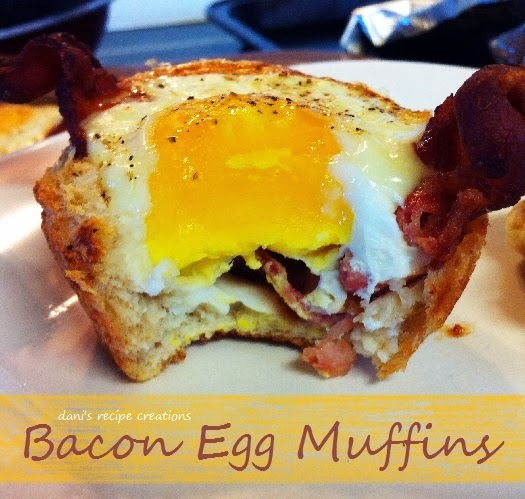 Then place 1 bacon slice in each bread muffin cup and crack an egg over each muffin cup. Season with the salt and pepper. Bake until egg whites are just set, 15 to 25 minutes. Serve Immediately and Enjoy! 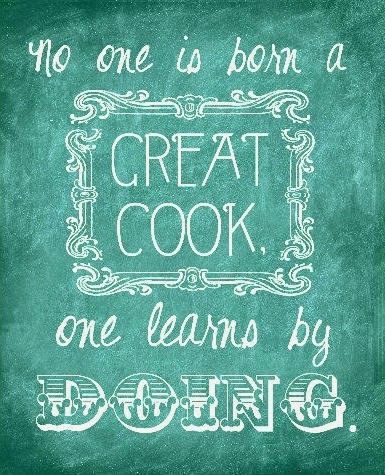 *Cooking Tip: You could top with Cheese or Jalapenos. My husband, Brian did this and he loved it. My sister-in-law mentioned using sausage for this recipe instead of bacon. I think that might be something I try soon. 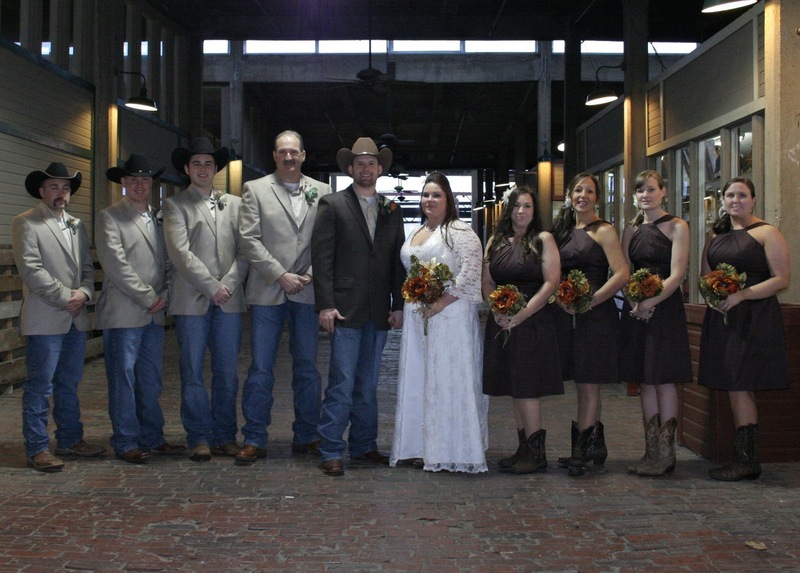 I loved planning my wedding. I wanted the old time feel to it. So I did lots of looking around and idea after idea came up. I had some original ideas and some from traditional wedding styles. 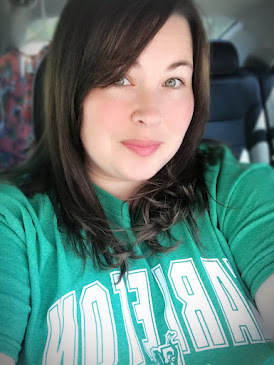 I wanted to share some of the things I did in my wedding because it might be an idea for others. Heck, I got 90% of my idea's because of other people's blogs at the time I didn't even know about Pinterest. Which I was married in March 2012. I'm late to the Pinning game. I'd of loved to have done some of the things I've seen on Pinterest. So this is why I am sharing from my wedding. Here is one of my favorite Idea's. 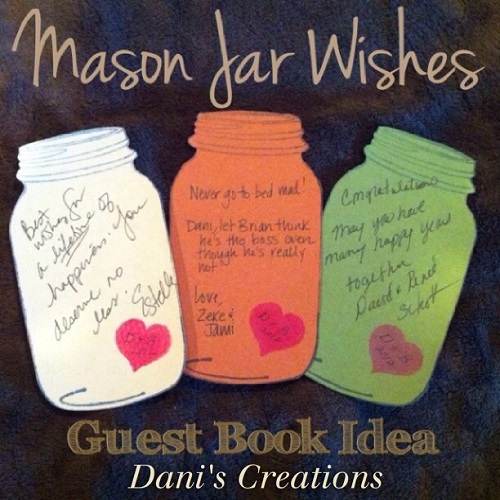 I used Mason Jar cut outs for people to sign or leave a small comment to us on instead of a guest book. 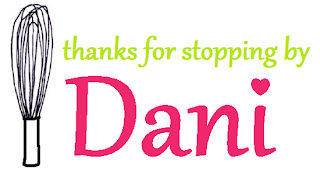 I wanted to be able to have something neat that I could put in a Scrapbook or display somehow. This is what I call Mason Jar Wishes. The thing I like about this is that it could be used for more then just a wedding it could be for almost and kind of party as a way to remember who was there. I ended up putting these in a photo album with all the pictures from my wedding and I like how it looks next to pictures of people from my wedding. It was a great way to remember this special day for me. Pizza is a fast and easy thing to grab when in a hurry or feeding a large crowd of people that you don't have time to cook for. 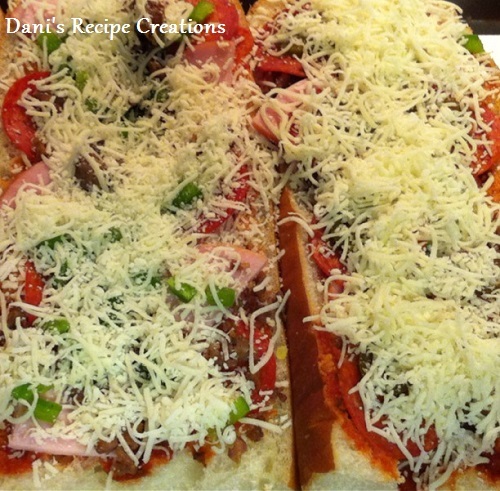 However, lets say you want to take time and make homemade pizza this recipe might just be for you. I came across this idea from a friend who made one night at her house. Then a few years later I saw it on Pinterest. So when it was family night at the Davis house we decided to do homemade pizza and instead of dough we used French bread. It was great we cooked all the meats and cut up all the veggies that we wanted for toppings. Our daughter Brooke even made a small pizza from a 3 pack of pre-made pizza crust. I have to say it was a lot of fun doing this and Brian my husband can even say he helped me with dinner. I hope you enjoy this fun and very tasty dish. 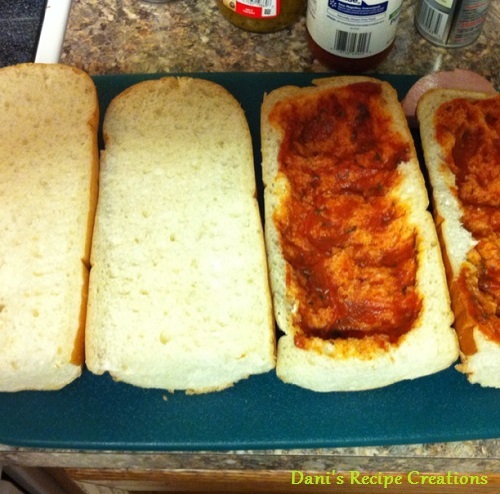 Cut loaf of French bread in half like a sub sandwich, then again. Put sauce then all the toppings you want on top to your liking. Then top all that with more cheese. Put in the oven and bake for 10-12 minutes or until the cheese is all melted. 1. Preheat oven to 350 degrees. 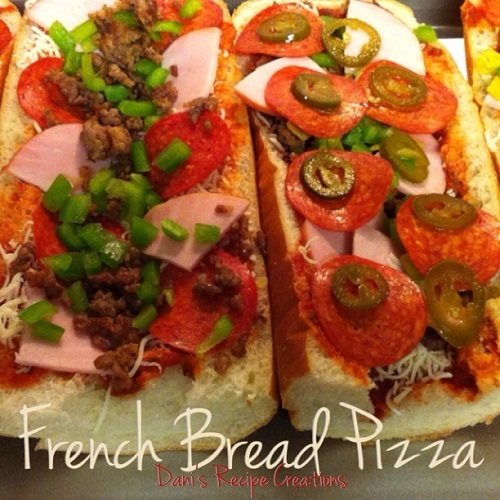 Cut loaf of French bread in half like a sub sandwich, then again. 2. 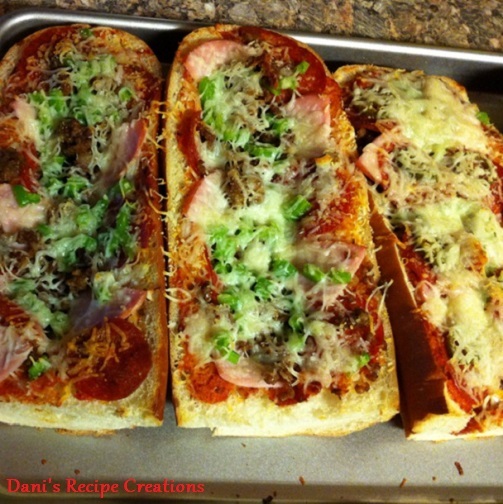 Place bread on a baking pan, put sauce then all the toppings you want on top to your liking. 3. Put in the oven and bake for 10-12 minutes or until the cheese is all melted. 4. Remove and Enjoy It's that easy!